Description New York, New Haven & Hartford (N.Y.N.H.&H.) 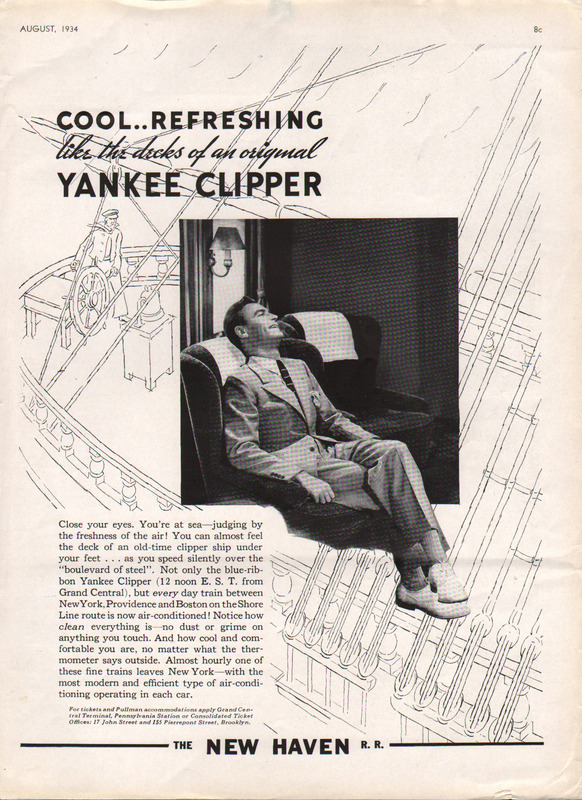 Railroad Vanity Fair advertising from February 1934 featuring a passenger in a Yankee Clipper Parlor Car. Cool.. Refreshing like the decks of an original Yankee Clipper.